The location and view over the beach (from top floor) was great. Apartment was large, clean and comfortable. Managers are helpful and friendly. Didn't try the pool but it did look inviting. This was a great spot for a couples retreat. Would stay again. The location was excellent, and the Apartment grounds are well looked after by Chris. 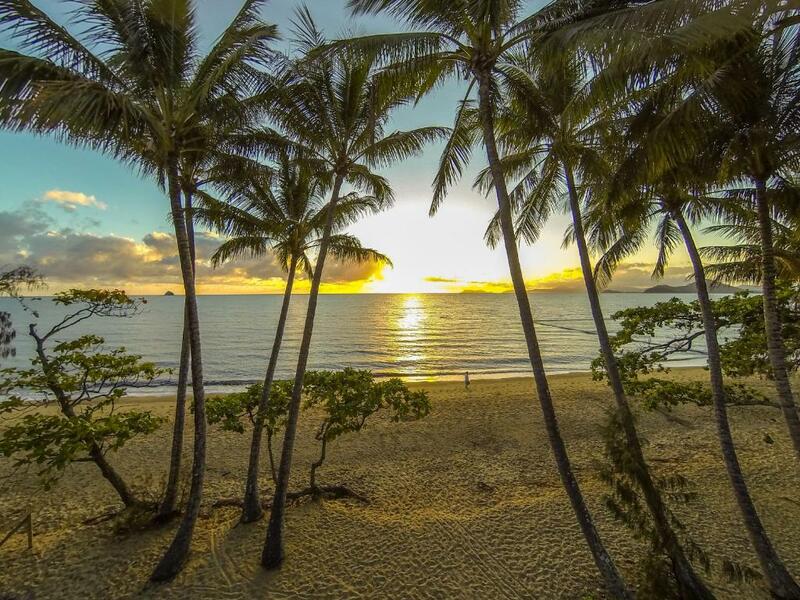 Palm Cove is beautifully maintained by the council with gardens and paths along the beach. It was just relaxing sitting on the balcony watching people swimming across the road, and others out walking and running, or just listening to the waves. Beautiful location and very relaxing. Location of the property could not of been better. Well presented, clean and perfect accommodation for a couple. Our stay was easy, calm, homely & very much enjoyed! Rhonda & Chris were excellent & we look forward to our next stay very much. Lovely apartment in fantastic location with lovely people running the office, couldn't ask for more. great location. good value for money. super clean room. staff were very friendly .highly recommended. The apartment was very well appointed - everything we needed for our stay. Great having two bathrooms. Ocean views from the balcony were spectacular. So nice to hear the ocean when falling asleep. Pool was great and not overcrowded. Apartment was very close to restaurants and the walk out to the pier was always a delight. 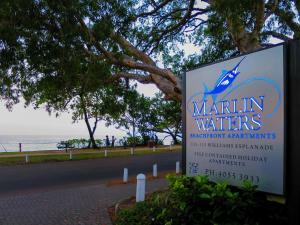 Lock in a great price for Marlin Waters Beachfront Apartments – rated 9.1 by recent guests! 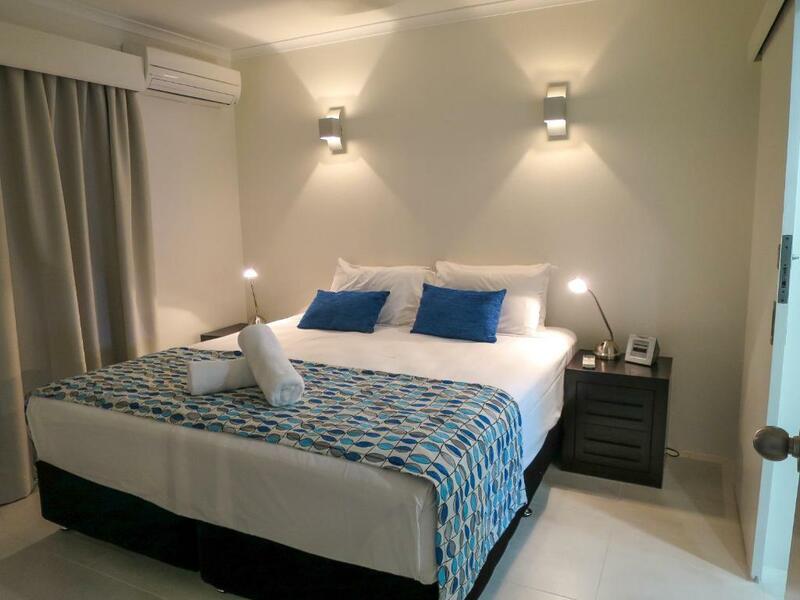 Marlin Waters Beachfront Apartments This rating is a reflection of how the property compares to the industry standard when it comes to price, facilities and services available. It's based on a self-evaluation by the property. Use this rating to help choose your stay! One of our best sellers in Palm Cove! 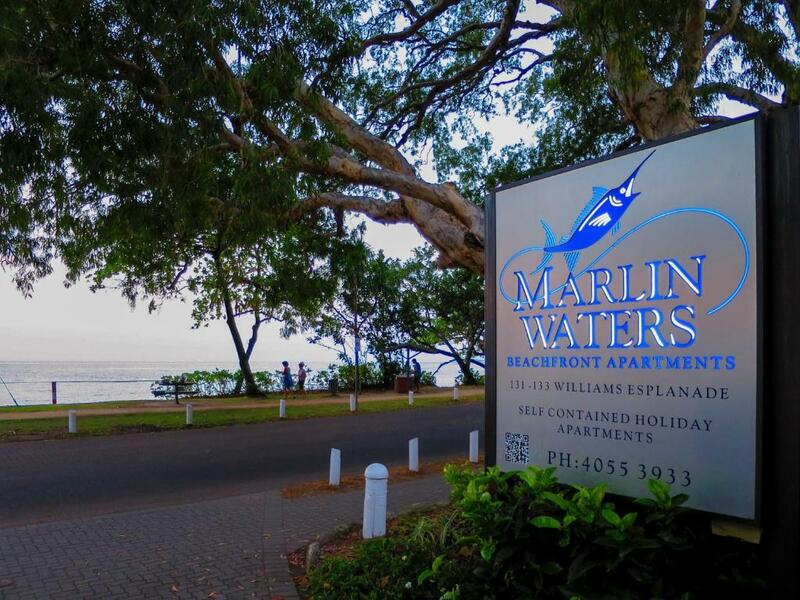 Located opposite Palm Cove Beach, Marlin Waters Apartments feature a private balcony with lovely ocean views. 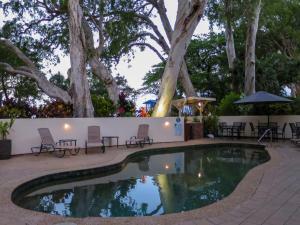 The property features an outdoor pool, a hot tub and a BBQ area set in beautiful gardens. 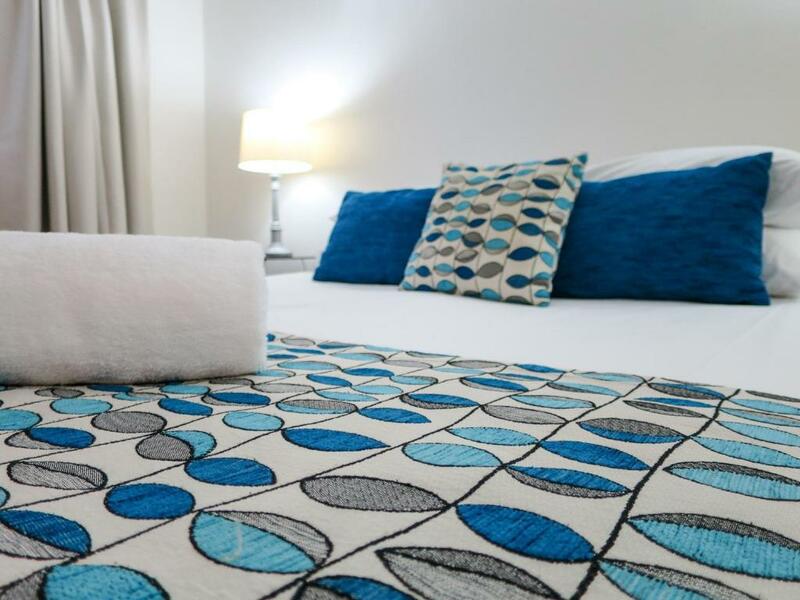 A fully equipped kitchen and laundry facilities are standard in all apartments. Each air-conditioned apartment has a separate seating area with cable TV and a DVD player. All apartments have elevator access. Marlin Waters Beachfront Apartments are just 650 feet from Palm Cove Jetty and 10 minutes’ drive from the famous Cairns Tropical Zoo. Cairns city center and Cairns Airport are each a 30-minute drive away. The tour desk can book trips to the Great Barrier Reef and Daintree Rainforest. The hotel can also arrange airport transfers and car rental. Free undercover parking is available on site. 뀐 Located in the top-rated area in Palm Cove, this property has an excellent location score of 9.7! When would you like to stay at Marlin Waters Beachfront Apartments? This apartment features a private balcony offering ocean views, a fully equipped kitchen and a flat-screen TV with cable channels. There is a separate private bathroom with laundry facilities. This apartment features a private balcony offering ocean views, a fully equipped kitchen and a flat-screen TV with cable channels. There are 2 bathrooms and a separate laundry. Marlin Waters Beachfront Apartments building runs parallel with the beach, opposite the patrolled swimming beach, all the apartments have the luxury of an ocean view. 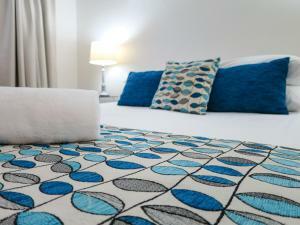 The apartments have unique individual styling, very comfortable and well appointed. There is a large car park at the rear of the building and a swimming pool at the front where there is also a bar-b-que with a view. With my husband Chris, we own the Management Rights of Marlin Waters. The apartments are individually owned and we manage them on behalf of the owners. This is a lovely industry as we aim to please all our guest for there memorable holiday in Palm Cove. House Rules Marlin Waters Beachfront Apartments takes special requests – add in the next step! One child under 16 years is charged AUD 20 per night when using existing beds. Debit card Marlin Waters Beachfront Apartments accepts these cards and reserves the right to temporarily hold an amount prior to arrival. Marlin Waters Beachfront Apartments accepts these cards and reserves the right to temporarily hold an amount prior to arrival. Please note that the 'Two-Bedroom Apartment' is located in the Coral Horizons complex located at 137 Williams Esplanade, just 2 minutes' walk from the main Marlin Waters complex. Transfers are available to and from Cairns Airport. Please inform Marlin Waters Apartments in advance if you want to use this service, using the contact details found on the booking confirmation. Please inform Marlin Waters Beachfront Apartments of your expected arrival time in advance. You can use the Special Requests box when booking, or contact the property directly using the contact details in your confirmation. Sea view was great. Close to eateries. Nothing to improve on! Shame about the rain but that's summer in the tropics. Lovely apartments right on the beach. Nice swimming pool with jacuzzi. Great location on seafront surrounded by restaurants and shops. Quiet and safe little town. The couple who run Marlin Waters are very friendly and helpful. The location was fab the owners very friendly and helpful action packed lots to do. Unfortunately the lift was out of order for the duration of our stay. They had organised for a technician to fix the lift. The technician had not been able to fix it during our stay. It was right before Christmas so was probably difficult to get service and/or parts if required. We were warned by the owners upon check in. The bed was very comfortable and the shower had fantastic pressure. It was good value for money and had fantastic views. The location was perfect and it was quiet. The 2 bedroom apartment was a good size and was very neat & clean. Older style unit, beautiful location across from beach. Outdated furniture (couch was peeling) bed uncomfortable, room decorations from the 70's, could do with an update definitely. Location was wonderful. Staff friendly.